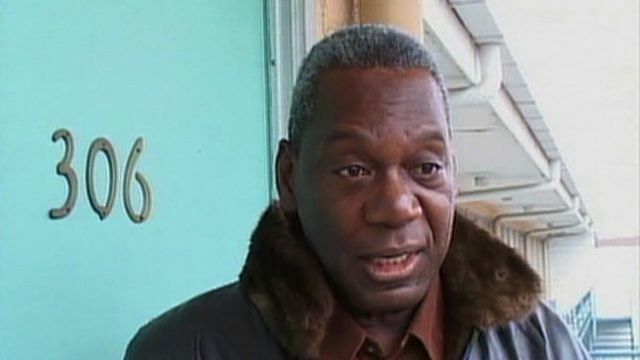 RIP D’Army Bailey: Founder of National Civil Rights Museum Dies at 73; Watch the 2007 Interview | Democracy Now! The civil rights activist, actor, author and judge, D’Army Bailey, died Sunday at the age of 73 after a battle with cancer. Bailey joined with fellow African Americans to buy the Loraine Motel in Memphis, Tennessee, where Dr. Martin Luther King Jr. was assassinated, and turn it into the National Civil Rights Museum. In 2007, Democracy Now! interviewed D’Army Bailey on the balcony outside room 306, where Dr. King last stood. He spoke about Dr. King’s legacy and the long struggle for the museum that honors it. AMY GOODMAN: We’re standing on the balcony of the Lorraine Motel in front of Room 306, where Dr. Martin Luther King was assassinated the evening of April 4, 1968. I’m standing with Judge D’Army Bailey, who is the founder of the National Civil Rights Museum, which is what the Lorraine Motel has been incorporated into today. Judge Bailey, where were you, when Dr. Martin Luther King was assassinated here on the balcony of the Lorraine Motel? JUDGE D’ARMY BAILEY: I was working in New York in the national headquarters of the American Civil Liberties Union, and I ran an organization that had the responsibility of recruiting law students and sending them to the South to help on civil rights work. So I had ten law students that were in Memphis working with the sanitation strike and with the lawyers here. And I was in my office in Manhattan packing my briefcase to take a plane the next morning to Memphis, because they had that march coming up within two or three days. And so, I was there in my office, and my secretary came in, and she said — she had the radio on — she said that she had just her that Dr. King had been shot in Memphis, and I sat at my desk, stunned. And within about ten minutes, she came back out crying and said that he had died. And I finished packing very quickly and walked downstairs with her and put her in a taxi, and then I went over and took the Lexington uptown to Grand Central Station, and when I got off the train in Grand Central Station, no one was speaking to anybody. It was just tense and quiet. And you could cut the tension with a knife there. And I went on uptown to — and shortly later that night, the rioting started in Harlem and in other parts of the country. And I did come on to Memphis the next day. And when I got here, the city was under martial law, and National Guard troops were throughout the city. And, of course, the march did occur, that Dr. King was to lead, two days later, I think, on the 8th of April. And thousands of people were here. Mrs. King came with her children. I talked with Mrs. King when we brought her here for the dedication of the museum, and she told me the story that she was — that some of her family members had urged her not to come to that march — they were fearful in the wake of the assassination — and that Harry Belafonte had called her and said, “Mrs. King, you’ve got to go,” and that that was what tipped the scales, had caused her to come to Memphis and be in that march. AMY GOODMAN: Can you talk about how this motel has been turned into a museum? JUDGE D’ARMY BAILEY: Well, the owner of the motel was a black man by the name of Walter Bailey, same name as my father, and including middle initial, but we weren’t related. But he had struggled in the years following the assassination to keep the doors of the motel open, because business had declined with blacks being able to go to the white hotels, and also this area was declining. And so, the motel went up for foreclosure. AMY GOODMAN: Is it true that Mr. Bailey’s wife died as a result of the killing of Dr. Martin Luther King? JUDGE D’ARMY BAILEY: Mr. Bailey’s wife, Loree Bailey, used to help him run this place, and she had a stroke on the night of the assassination, and she died two days later. AMY GOODMAN: So the motel was operating for a few years after Dr. King was assassinated? JUDGE D’ARMY BAILEY: Yes. It continued to operate, although, frankly, the clientele were prostitutes mostly and just sort of transient trade. They had maybe eight or ten weekly tenants here. It was on hard times. I joined with a group of four other African Americans in Memphis and we formed a nonprofit group to raise money, and we bought the Lorraine with $140,000 in a foreclosure auction on the courthouse step. My feeling, having been involved as a student activist in the Civil Rights Movement — I was expelled from Southern University in 1962 for participating in sit-in protests and arrested at Gwynn Oak amusement park in 1963 in Baltimore for trying to desegregate a segregated park. So I had — and I had traveled through the South, and I knew about the strength and courage of John Lewis and Ella Baker and Dave Dennis and Bob Moses and Jim Foreman and others who had been through the movement. And I felt that if we used this site to tell the story of that struggle, to recreate it in as dramatic and dynamic a way possible, the courage and the sacrifice, the determination that young people made to help turn around this country, and so we used the site of a tragedy to exploit it in a communications way to tell the story of a deep movement, of a deeper story of the movement. So it’s not a museum that celebrates Dr. King; it’s a museum that celebrates the spirit of a movement. And so, we had the exhibits on Selma and on Montgomery, and on the Freedom Summer of 1954, and we had the exhibit on the courage of the nine black children at Central High School in Little Rock, who braved the mobs to desegregate that school, and James Meredith’s singular courage to desegregate the University of Mississippi, and, of course, finally this tragic event that occurred here on April 4th of 1968. AMY GOODMAN: You actually have preserved the pavement that is red with Dr. King’s blood to this day. JUDGE D’ARMY BAILEY: You know, I just couldn’t believe, Amy, when they told me, before we even started the renovation, and this balcony was here, and Mr. Bailey had kind of preserved a little room here, which was the room that Dr. King had come out of with book cases and display of the dishes that he last ate from and the bedspread that had been thrown over him when he lay here on the balcony, so he had created sort of his own exhibit in here, but that was the only part that was open as for an exhibit. But when they told me that that was his bloodstains in this old balcony, it was just hard to believe that in 1968, the assassination, and here we were 20 years later, and the bloodstain is still speaking to us from that concrete. And so, I knew that we couldn’t just tear up this balcony. We had to put in a new balcony, because of the deterioration of the old one, but I knew we couldn’t tear that up, and so I asked the contractors to cut that part out of the old balcony, and that’s been reinstalled here in this balcony here. To me, the importance of Dr. King’s death is the inspiration that we do something positive to make change. And so, we ought to be using this day in strategy meetings on how we’re going to go out and challenge the local companies and businesses that don’t have equal opportunities at the high levels of management and on their boards of directors, and we need to be going to meet with these political officials who are not demanding that we have programs to deal with the homelessness and with the poor and with the lack of educational opportunities for kids who are struggling. And so, we need to be developing strategies and implementing strategies. This is not a day for ceremony. It ought to be a day for action. AMY GOODMAN: So you’re talking about challenging the very corporations that support the National Civil Rights Museum. JUDGE D’ARMY BAILEY: I think we must. And I recognize that you have to have corporate support, but the problem occurs when it dominates in its support and when the chairman of the executive committee is one of the corporate leaders, a conservative Republican who had George Bush as a guest in his home to raise funds against Congressman Harold Ford, Jr. That’s the man who chairs the executive committee of this museum. JUDGE D’ARMY BAILEY: Pitt Hyde, J.R. Pitt Hyde, who formed the AutoZone Corporation here, which is sponsoring a big ceremonial basketball game celebrating Dr. King. And yet AutoZone Corporation has been in litigation with the Equal Employment Opportunities Commission on issues of — allegedly where there were some 63 managers hired and promoted and none were African American. And so, you have to recognize that as you allow this corporate control and involvement, then you sort of paralyze yourself in terms of being able to be proactive to make those very corporations accountable. Now, to the extent that — and especially in a small town like Memphis. Now, if you’re in a large city, you have a number of possible supporters you can go to, and you have a diversification of influence. But where it boils down to two or three or four corporations who work with each other in tandem on most charitable projects, then it becomes a very close and tight control. And that’s not just with the museum. The NAACP here in Memphis gets most of its finances from local corporations. And so, they have to find harmonious kind of social programs, as opposed to the hard issues that challenge these corporations. AMY GOODMAN: This is also the headquarters of FedEx, isn’t it? Fred Smith, the CEO, who is a well-known Republican activist. JUDGE D’ARMY BAILEY: Yes, Fred Smith. And he and Pitt Hyde, the chairman of this museum’s executive committee, which meets monthly and sets its policy and controls its operations, and yet you can see that the actual maintenance is not really that good here. There are cobwebs here in the windowsill. There needs to be painting out here. And this same board would give $50,000 to Bono or to Oprah Winfrey in a freedom award, cash money, when it could use that money to paint up here, and you wouldn’t have all of these repair issues. 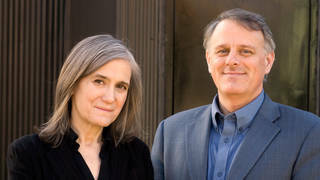 AMY GOODMAN: Judge Bailey, the founder of the National Civil Rights Museum that incorporates the Lorraine Motel, where we’re standing now on the balcony outside Room 306, where Dr. Martin Luther King had walked out of on April 4, 1968, in the evening, looked out over the balcony and was assassinated.